The top three are stagnant this week, but just below, Mark Ronson and Bruno Mars slide up three spots to #4 in their second week on the chart with “Uptown Funk,” while One Direction scores their second top-ten placement this album cycle as “Night Changes” vaults from #33 to #8. And while 1D scores several debuts upon the release of new album FOUR, it’s Sinclair who scores the top debut, with “Heaven On Earth” entering at #45 under a big #58-#30 jump for “The World Is Ours.” In addition to One Direction’s five debuts, new entries include chart newcomers Tor Miller and I Know Leopard, as well as new debuts from Sinclair, Lifehouse, and Nick Jonas. Kelly Clarkson also scores the first seasonal song to enter the chart this year, as “Wrapped In Red” debuts at #92. It’s the title track and first song to chart from her 2013 holiday album, since my chart went on hiatus late last year – her last song to chart was “Tie It Up,” which peaked at #35 last fall. 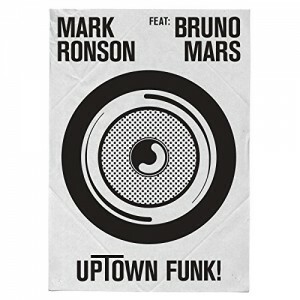 Mark Ronson and Bruno Mars easily score the week’s highest debut, entering at #7 with “Uptown Funk.” One Direction scores another big entry with a #33 debut for new single “Night Changes,” while the rest of the debuts include chart newcomers Six60, Bahamas, Francesco Yates, BØRNS, and CAFUNÉ.